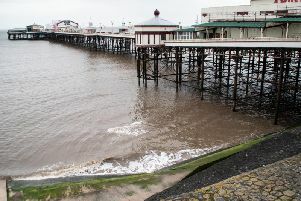 Blackpool North and Cleveleys MP Paul Maynard has called for a review of proposals to dump millions of tonnes of brine into the Irish Sea. Mr Maynard has written to Minister Clare Perry and the Department for Business, Energy and Skills, asking for an urgent examination of the Halite gas storage scheme and expressing concerns that the permits to pump highly concentrated salt solution into the sea might be based on incomplete or outdated evidence. He said: “I am deeply concerned that the way brine behaves when pumped into the sea will differ significantly from Halite’s own modelling and will result in the formation of ‘dead zones’ off our coast. Campaigners fear the scheme could lead to a huge depletion in fish stocks.